The follicular dendritic cell (FDC) is a major constituent of the microenvironment of the lymphoid follicle. 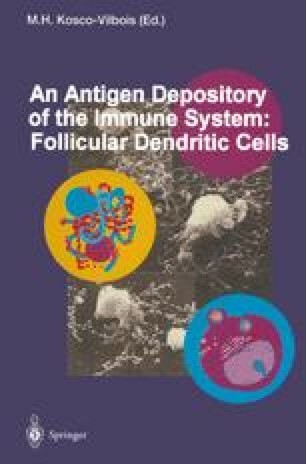 FDC have the characteristic and unique property of binding antigens in the form of antigen-antibody complexes and retaining these complexes, without ingestion, for long periods of time. The presence of antigen-antibody complexes, also called immune complexes, on FDC is believed to play a crucial role in the development of B cell memory and the affinity maturation of the antibody response against T cell-dependent antigens.